“Are you doing the right thing, or are you doing it right? 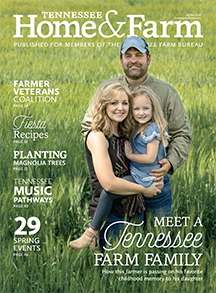 The key is to do both, because the gray area is what makes the difference.” This mantra runs John Butler’s life; it’s what he strives to do on a daily basis on his West Tennessee farm. 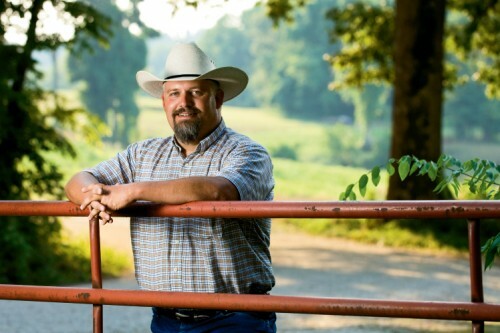 Butler, his wife, Dana, and their three children live and work on a fifth-generation family farm in Dyer and Obion counties, where they raise cattle, corn, soybeans and wheat. Butler, who took over the then-primarily row crop operation in 1995 when his father retired, added cattle breeding in order to remain profitable – and also because of his love of caring for animals. Q: Why did you choose to become a full-time farmer? A: When it’s 15 degrees below zero, I have a fever and I’m still outside taking care of my animals, I ask myself the same question. It’s simple: You either love it or you don’t. I have a love for animals in my care, and although it is a job – the way I take care of my family – it’s also what I love. You spend a lot of time with them, in 100-degree heat or freezing rain, understanding what they need and providing it, be it clean water, food for extra energy or medical attention; but I wouldn’t trade it. Q: What is one thing you want the non-farming public to know about what you do? A: Those involved in agriculture, especially the animal side, have an innate care for the animals under their care. Yes, it is a business, but many times the bottom line doesn’t matter – I do whatever I can to help those animals. I do have to make money in the long run, but sometimes you just do the right thing and hope things turn around later. Q: What advice would you give someone interested in becoming a farmer? A: Start small, and ease your way in. 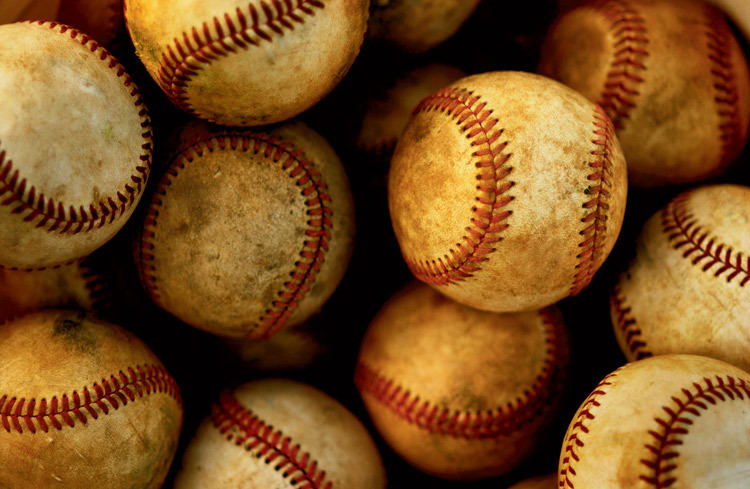 Don’t try to hit a home run first; hit a couple of singles to get the feel of it. Take every class you can. Dealing with livestock is a lot like dealing with children: If you say they can’t do something, they’ll figure it out. It’s like telling a 4-year-old “no” – he’s going to find out for himself anyway, so you just have to prepare for every eventuality. Q: As a farmer, what is your biggest challenge? A: To make sure that people who aren’t farming, be it legislators or someone at the corner market, have a feel for what I’m doing. We have the safest, most economical, most abundant food supply in the world, and people have forgotten that. That’s why I’m involved in Farm Bureau, because communicating our story is vital for the future of agriculture. We need to share with everyone why we do what we do and how much we love and care for all aspects of agricultural life. Q: What was life like growing up on a farm? A: I grew up with my grandfather and father farming on some of the same land we still farm today. We have expanded a lot in those generations, but we mostly farm in Obion and Dyer counties. I loved growing up on the farm and having the opportunity to gain an appreciation for the land. When I graduated high school in the mid-1980s, we got out of the hog and cattle business, and Dad just concentrated on row cropping. I graduated from Mississippi State University with a degree in animal science and veterinary medicine and worked for Cargill for several years after graduation. Then my Dad called me one day and said he was retiring and selling out and asked if I wanted a part of the operation. My wife and I thought about it and ended up buying him out in 1995. We started the cattle business back up, bought the first cattle in the fall of 1996. We did this to remain profitable – the bulk of the cattle are on rolling hills not as suitable for row cropping. Q: Being in West Tennessee, farms tend to be bigger and more spread out. How does that affect how you do your job? A: In the past 15 years we have grown everything – corn, cotton, soybeans, wheat … we’ve grown it all. 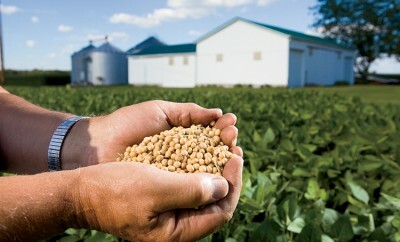 Right now we are growing mainly soybeans, corn and wheat. Our acreage is very spread out, but it has to be to maintain profitability here in West Tennessee. From north to south we have about 40 miles, and from east to west there are about 35 miles where our farmland is spread out. However, we still have several spots where there are 300-400 acres together. To maintain our profitability on the farm, we scaled back on farms further out than that and concentrated on the land we owned or rented closer to home. The main thing is to do a good job at it and make a living doing it, which is why we got back into cattle. Q: You have raised three children on the farm. Will any of them continue in your footsteps? A: One of the reasons we moved back to farm was because of our kids. My wife, Dana, and I wanted to raise our kids on the farm. I wanted them to have the same opportunity I had – to see the animals on the farm and also the wildlife. You can’t explain to someone what it feels like to see a buck or what a covey of quail looks like in the fall. You have to show them, and then they understand. I wanted the opportunity to give what I had and pass it on to my kids. If they decide to farm, that’s great, and hopefully there will be a place for them here. But we’ve raised them to walk on their own two feet and make their own decisions. I will be happy with their decision as long as it makes them happy. Q: As a former Young Farmers president, what are the opportunities for young people interested in farming today? 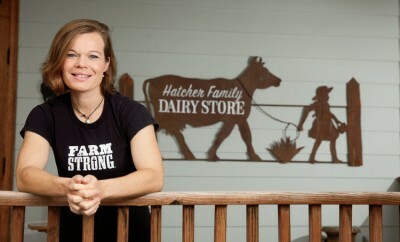 A: I think the opportunities for young people on the farm are a lot less than when I started. I don’t see how the next generation will be able to come back to the farm with the expenses like they are. They have not doubled, not tripled, but quadrupled. But, if you think about it, the odds of making it are probably not much different than 10 years ago; you are just rolling a lot bigger dice. The marketing side has become tremendous, and you have to stay on top of that. Q: Any other thoughts you want to share about farming? A: My main message is to make sure everybody understands that I and every farmer are trying, just like everybody else, to make a living, but under that I have an innate love of taking care of my animals. I use best management practices to make sure things are done the way they need to be done. I think we need to go one-on-one with folks to pass the message along – be proactive instead of reactive.